A leading provider of Florida staffing solutions in the Tampa area, Tradesmen International has supplied proven, skilled craftsmen for thousands of commercial and industrial construction projects. From the Florida Aquarium to the area’s first hospital, our craftsmen have worked on projects that have made a real impact on the city. 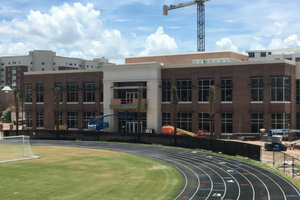 The University of Tampa’s new recreation center was designed to be open and airy to promote social interaction and build a sense of community among students. It forms a central hub for exercise programs, wellness and nutrition programs, club sports and more. 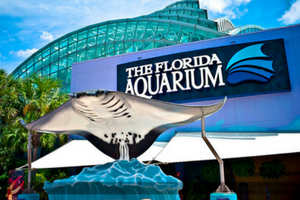 Tampa’s Florida Aquarium features breathtaking exhibits, a two-acre outdoor water play area, a variety of interactive and educational shows, and special adventure experiences like behind-the-scenes access and the Wild Dolphin Cruise. 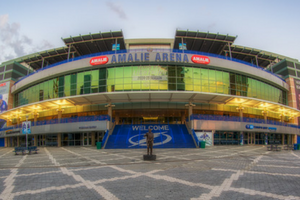 Committed to providing patrons with a VIP experience at every event, Amalie Arena offers features like lightning-throwing Tesla coils, the 11,000-square foot Bud Light Party Deck, a 105-rank digital pipe organ and some of the best views in the city. 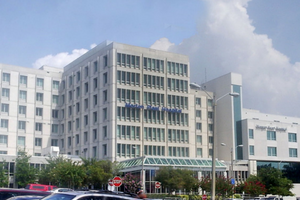 Morton Plant Hospital was founded in 1916, making if the first hospital ever built in northern Pinellas Country. Today, it’s a nationally recognized facility offering specialized, highly-technical care to more than 50,000 patients each year. Tradesmen International is a recognized leader in providing a skilled workforce in Tampa. To take advantage of our proven pool of skilled craftsmen or learn more about Total Labor Support, give our Tampa office a call at 877-214-9300.